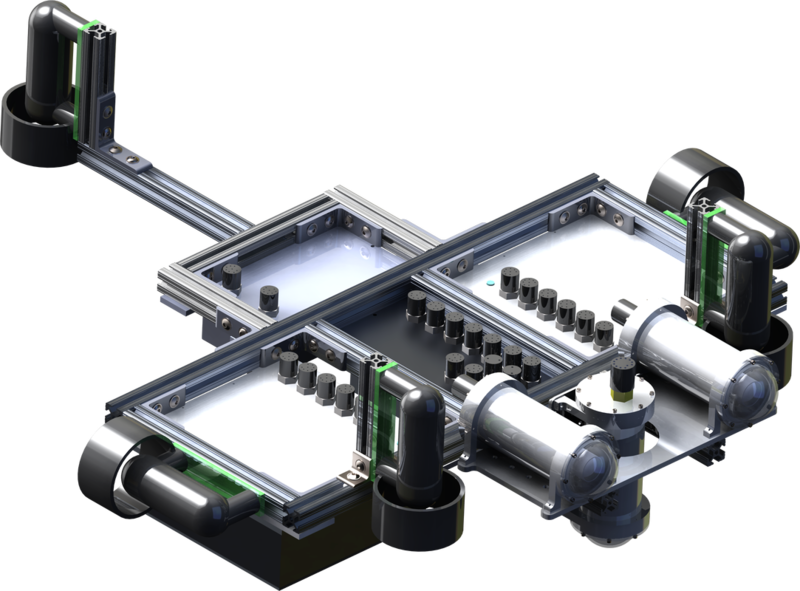 The stingray AUV is a modular research platform. Past experience has driven this new vehicle towards a simple yet robust design. While not being assembled in mass quantities, the principles of DFMA (Design for Manufacture and Assembly) were a driving factor. We sought to eliminate inefficient design to reduce time maintaining and fabricating the vehicle. Its reconfigurable chassis allows for the simple addition of new pay loads as well as transport of the vehicle. 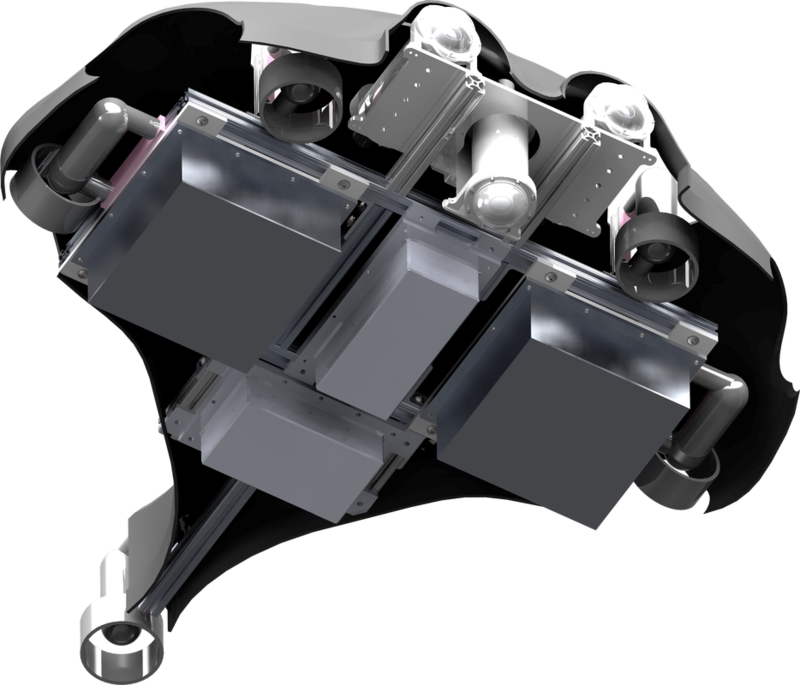 Five commercial underwater thrusters provide control of depth, yaw, roll,pitch, and surge. Three cameras (2 forward and one downward looking) provide visual feedback of the vehicle's environment. Individual electronics vessels are connected with wet mateable underwater cabling and connectors. This allows the vehicle to accommodate changes and new additions without rebuilding the main electronics housing each time.